Friends, in the previous article, we had learned what is US BAnk routing numbers? But, we had not shared any kind of stuff on how to transfer money from my US bank account to another or on US BANK WIRE Transfer. Dear Friends, Let you informed that wire transfer is the fastest way to receive and send money from and to US Bank account. For receiving cash from within the USA, Domestic Wire Transfers are made. Whereas for receiving cash from a foreign country, International wire transfers are made. However, once the transaction is begun by your sender through any financial institution, providing your banking details by the sender at the financial institution are essential for a successful transfer of cash to your US bank account. 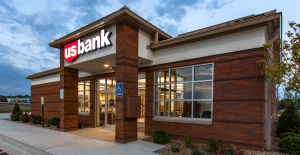 Read Here: All US BANK ROUTING NUMBERS. As we know that for receiving money from foreign countries we have to do an International wire transfer. Since it is also one of the quickest ways to receive cash from abroad. And, let me tell you that banks and credit unions use the SWIFT network for message exchanges, needed for doing an international wire transfer. In general, the receiver bank in the USA and the sender bank in any other country requires having a direct arrangement to initiate this direct swift transfer. Do note that banks in the USA do not make use of IBAN account number. ** Do note that if your transaction involves any kind of currency conversion, it might be possible to get very low exchange rate from the bank. Since so high fees are there for currency conversion. To avoid such kind of problems, make use of TransferWise service for getting best conversion rates and for lower wire transfers fees. And, for receiving money from within the USA, Domestic wire transfers are made. Such transfers are run with the help of Fedwire system or a CHIPS (Clearing House Interbank Payments System). $$ Do note that wire transfers and ACH transfers are different from each other. Wire transfer is on the basis of real-time cash transfers. And, the receiver gets money usually on the same day of wire transfer. However, its fees are more for it than the ACH transfers. Usually, ACH transfers completed within an interval of 2 to 4 days. Domestic wire transfers help to receive funds to your U.S. Bank account from within the USA from other banks. But, you need to provide some information to complete your transfer successfully. So, provides the given below details to the cash sender to initiate your domestic wire transfer and complete it successfully. Check the fees list for International and Domestic Wire Transfer or US Bank wire transfer fees. $$ do note that if your transaction involves any kind of currency conversion, then fees for it are higher including the fees for currency conversion. In general, the currency exchange is about 2 % lower than the market rate. So, make use of reliable wire transfer service like TransferWise service to get better conversion rates along with lower wire transfer fees. So, the above details and instructions are for receiving an international and domestic wire transfer to US bank. Let us learn, how to send wire transfers from US Bank account. For transferring funds to an international and domestic account from your US bank account, you have to fill up the Wire Transfer Request Form. Which is available at all branches of US Bank. Fill up the all the mark fields of Wire Transfer Request Form with the help of above Wire Transfer Instructions. Now, the completed Wire Transfer form should be provided to any branch of the US Bank. It must be signed. Keep the disclosure of wire transfer with you for further records. The request should be submitted within the cut off time. And, wait for a confirmation call from the US Bank. However, fees are applicable for sending wire transfers. Please, contact your to service center nearest US Bank branch to learn the wire transfers cut-off time for U.S. Bank. Since wire transfer request after the US bank cut off time will be actioned on the next business day of the bank. Hope that all the instructions and information is helpful for you. However, please comment us for more assistance on US BANK ROUTING NUMBER and US BANK WIRE TRANSFER: INSTRUCTION & FEES. Hey guys, looking for a assistance in TD Bank wire transfers? Then, you are on the correct web page. 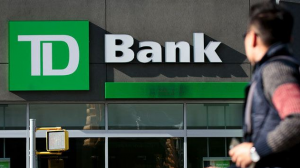 In this post, you can also get information about TD bank wire transfer fees for domestic and international wire transfer fees, TD bank wire transfer cut off time and also learn how to sends and receive domestic and international wire transfer from and to TD bank wire transfer. For transferring money from one account to another, TD wire transfer is the safest and fastest mode of cash transfer for the TD Bank Users. With the wire transfer of TD Bank, US citizens can send and receive funds from within the USA. And, also from the abroad. For sending and receiving funds from within the United States of America, Domestic Wire transfers are made. And, for sending and receiving funds from any other country excepting the USA, Internation wire transfers are made in actions. However, some details are essential to provide to the senders and the receivers at the both, sending and receiving bank to begun and complete the transfer successfully. To send and receive, Internation wire transfers are made in action. However, providing some bank details are must for a successful TD bank wire transfer. Basically, TD bank provides the facility of International wire transfer service with the help of SWIFT network. It helps to exchange messages, needed for doing an international transaction from and to TD bank. So, provides the following details to start and complete the swift transfer also known as correspondent banking. However, if you want to receive funds within the USA, the TD Domestic wire transfer is the fasted mode of funds transfer. With this service of TD Bank, citizens can transfer their funds, rent, and other contingency funds. In general, domestic wire transfer is a great service provided by the TD Bank to the US Citizens. Basically, it is run with the help of either ACH Fedwire system or by the Clearing House Interbank Payments System (CHIPS). And transfer completes on the same day of the request. Provides the following details to your sender to begun and complete your domestic wire transfer to TD bank account. $ 40 for each outgoing transaction. $ 25 for each outgoing transaction. The above task is for receiving TD wire transfer from other banks. However, if you want to send TD wire transfer from one account to another, then don’t bother about it. Sending wire transfer is an easy and simple job to complete. First of all obtain a TD bank wire transfer request form from any of your nearby branch. Now fill up it carefully with the help of above TD wire transfer instructions. Now submit this signed TD wire transfer request form to any nearby branch of TD Bank. But, it should be submitted at the time of TD bank wire transfer cut off time. Otherwise, it should be taken in action on the next TD working day. Be sure of sending wire transfer fees from TD bank. TD bank Wire transfer daily cut-off time for Incoming International and Domestic wire transfers is 6:30 P.M.
Do note that Requests received after this cut-off time will be actioned on the next business day of TD Bank. Leave a reply for more assistance on finance. Wants to Make a wire transfer with PNC bank, but have a no idea about how to wire transfer with PNC bank? Then please, read this article very carefully. At the last section of this article, I will give the PNC Bank customer support phone number for more PNC wire transfer assistance. To receive and send from and to PNC bank account, wire transfer is one of the fastest ways. With wire transfer service, you can send and receive money from within the USA, and also from the other foreign counties. Domestic Wire Transfers helps to receive cash from and within the USA. Whereas International wire transfer helps to send and receive cash from foreign countries. Doing Wire transfer is easy, but not as simple as you are thinking. Once your wire transactions begin by your sender through a means of any financial institution, providing some bank information by the sender is the must for a successful wire transfer. With the service of PNC Bank international wire transfer, one can easily send and receive cash throughout the globe with the quickest transfer of cash. And, SWIFT code network makes this possible through exchanging messages needed for doing it via connecting with other banks to abroad. Such kind of banking is also called as Correspondent Banking. However, for sending bank in any other country and the receiving bank in the USA requires a direct arrangement with each other to start and complete swift transfer. Please provide the following details to receive an international wire transfer to your PNC account. Beneficiary Name Your name as it appears in your statement of your account. PNC bank domestic wire transfer makes easier to transfer cash anywhere within the USA. With this, US citizens can transfer their funds, rent, and other contingency funds. In fact, domestic wire transfer is a great service provided by the PNC bank to the US Citizens. And, it is run with the help of either ACH Fedwire system or by the Clearing House Interbank Payments System (CHIPS). And transfer completes on the same day of the request. Through the domestic wire transfer, US citizens can receive money to their PNC account from anywhere in the USA. So, provides the following details to the sender to start your domestic wire transfer to PNC bank account. $ 45 for each outgoing transaction. $ 30 for each outgoing transaction. 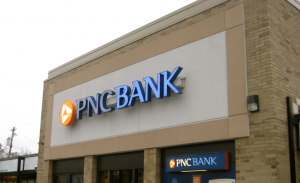 How to Sends Wire Transfers From PNC Bank? For funds transfer to an international or domestic account from your PNC account, you have to fill up the Wire Transfer Request Form. Which is available at all the branches of PNC Bank. 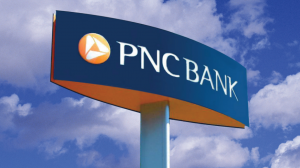 Now, the completed PNC wire transfer form can be submitted at any branch of PNC Bank. It should be Signed for successful transfer. Keep one copy of Wire Transfer Disclosure with you for your further records. Also, the Wire transfer requests must be submitted and confirmed within the PNC Bank cut-off time. However, it includes little fees for funds or wire transfers. The daily cut off time for all kinds of wire transfers is 5:59 P.M. ET. And, the Wire transfer request received after the daily cut off time will be actioned on the next PNC business day.